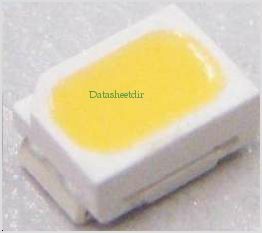 Cree® PLCC2 1 in 1 SMD LED ,SMD LEDs is	packaged	in	the	industry	standard	package. These LEDs have	high	reliability	performance	and	are	designed	to	work	under	a	wide	range	of	environmental	conditions. This	high	reliability	feature	makes	them	ideally	suited	to	be	used	under	illumination	application	conditions. By Cree, Inc. This is one package pinout of CLM3C-WKW,If you need more pinouts please download CLM3C-WKW's pdf datasheet. CLM3C-WKW circuits will be updated soon..., now you can download the pdf datasheet to check the circuits!